Watch full Ginga Eiyuu Densetsu Season 3 Episode 19 English Subbed full HD online. Ginga Eiyuu Densetsu Episode 73 English Subbed online for free in HD. The Edict of the Winter Rose Garden. 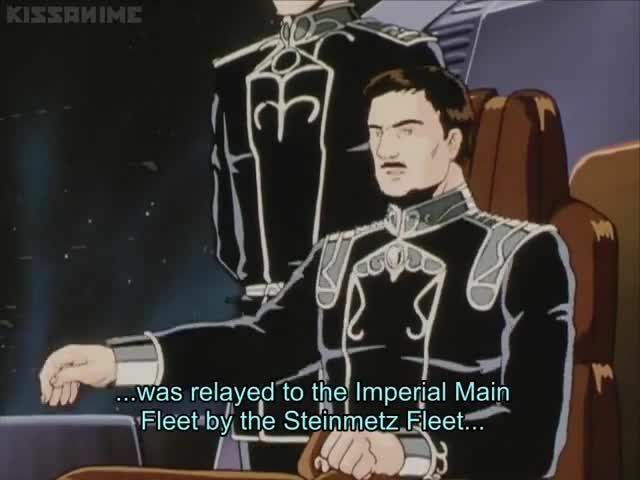 The news of Fleet Admiral Bucock’s death reaches Iserlohn. The Yang declares a mourning period for Bucock. Lebello is assassinated by his subordinates. The Alliance government surrenders unconditionally. On February 9th, Reinhard lands on Heinessen. The Imperial soldiers discover low level bureaucrats unwilling to surrender public documents, records, or property to the Empire. Reinhard commends on how the Alliance perished precisely because such remarkable government servants were kept below positions of governance. Reinhard disgusted over treachery, then declares death upon Lebello’s killers. February 20th, 800 S.C. / 2 N.I.C. : The 273 history of the Free Planets Alliance ended.